Emily Page was enthusiastic when she came to the Orem Start Smart Class. "I've always had the thought in the back of my brain to start my own business." Two months and a few SBDC appointments later, Emily was in business as "Emmie's Hidden Floral". She was thrilled to have some help with the business part of starting her own floral shop, because Emily already knew flowers. "I love being creative," she said. "I like to make something beautiful that makes everybodys day." 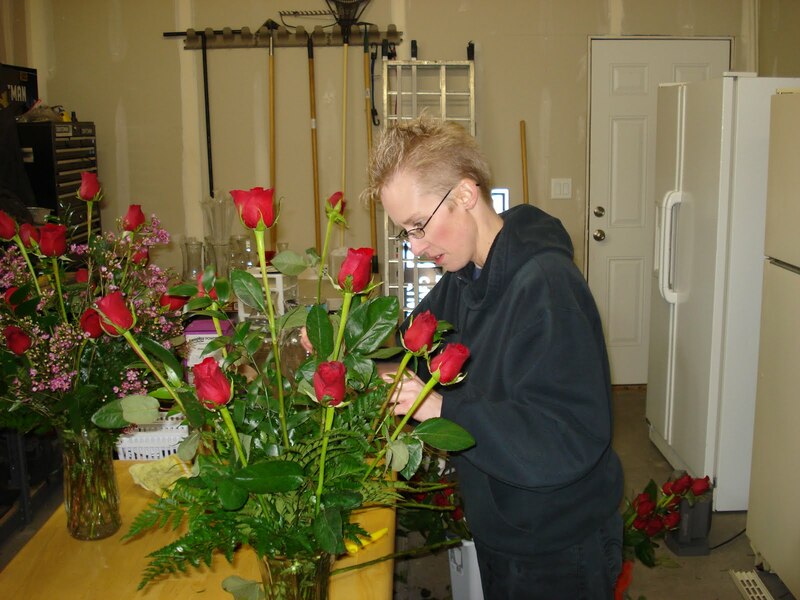 After working in several florist shops over the years, Emily knew she had style, skill, customer service charisma, and good relationships with vendors. What she lacked was the knowledge of how to start. Though a few years had past since then, Emily had been looking forward to the time where she could start her own florist business. The time was right in 2009. At her first SBDC appointment, Emily started the process to become a legal business entity. She had been looking for equipment and wanted to get things in place. Emily and her husband live in Eagle Mountain City, and she knew that a large community of families lived miles away from a floral shop. Lehi had the closest florist and Emily was convinced there was a market just waiting to be served. Her challenge was that she wanted to work from her home. After consulting the City Municipal Center, Emily was approved to run a flower shop from her home - actually from one section of her garage. After starting her business, Emily advertised in the local newspaper, and took an arrangement into the City Offices, talked to her neighbors and within 2 weeks, was booked to create custom arrangements for a fall wedding. Since then, "Emmie's Hidden Floral" has become the Eagle Mountain City's florist of choice and has spread the word to local residences. 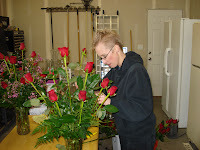 Still enjoying creating beautiful floral pieces, Emily is also enjoying the business side of owning her own business. She has excellent relationships with her wholesaler and she continues to add to her portfolio of arrangements. She now comes in to the SBDC to brainstorm marketing ideas and research target markets. She has plans to create a website that people can order from and offer delivery to those in Eagle Mountain. Emily is glad to have the help of the Orem SBDC team to guide her. "You have been awesome to work with and have helped me out a ton!" Now, Emily is focused on increasing her sales. Her goal is to develop "Emmie's Hidden Floral" into Eagle Mountain residence's favorite florist.